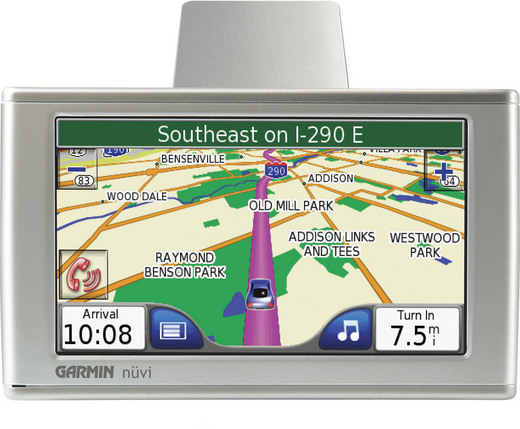 Here's a leaked Garmin Nuvi GPS. Two things. The Nuvi's new widescreen format makes it harder to pocket, and the whole nuvi concept was pocketability. Secondly, this one pulls data from MSN Direct. You know the same tech that powers spot watches. Those things sucked, but this could work out nicely. It probably will cost a few bucks, like many of today's traffic solutions. but this one will be neato, including data for "geo-referenced information like traffic conditions, weather forecasts, fuel prices, and movie times." Could be decent competition to the new wave of smart GPS navigators like the Dash Express.